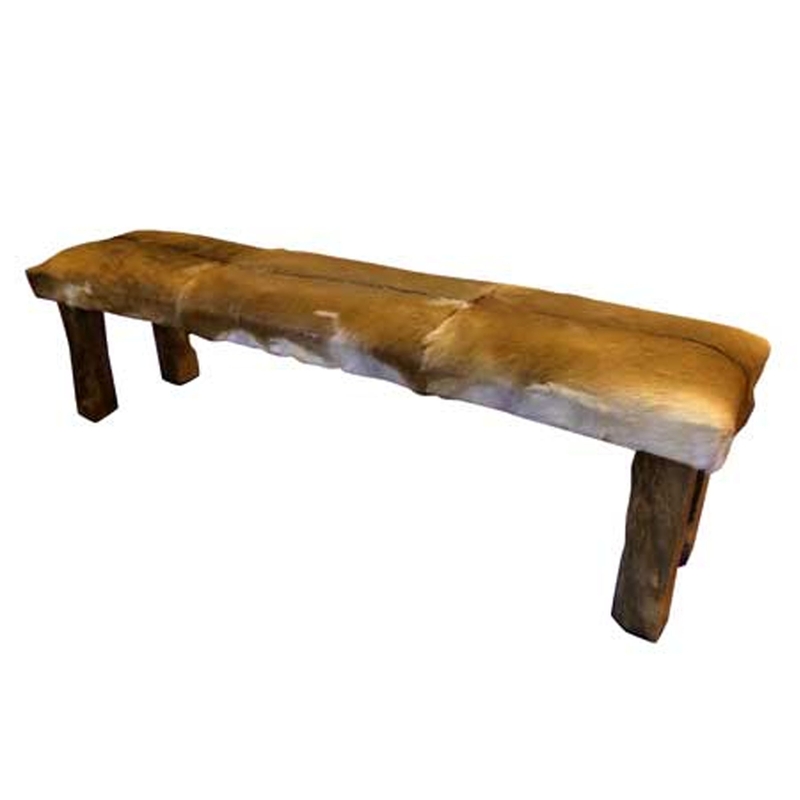 Introducing this beautiful Teak Root Bench Rustic With Goatskin Seat Large. This bench is created from a natural and stylish teak root material and goatskin. The base features a wide frame with 4 legs, holding up a splendid goatskin seat that fits in perfectly with the rustic and modern design.